I still want to believe that HD DVD is going to pull out of its slump and emerge victorious. Sure, it’s a pipe dream, but I can still hope right? I figured that with the cheaper players, they were sure to come out on top. Well, if you’re still convinced that they’ve got a shot, and you own an Xbox 360, now is a good time to get yourself and HD DVD player add-on. 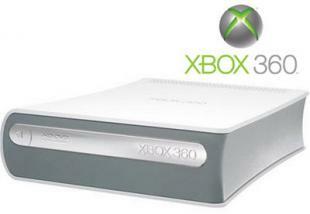 Microsoft has officially announced that they’ve slashed the price of their HD DVD player add-on for the Xbox 360 by $50. Sure, this is likely an act of desperation to move the units before the format dies completely, but there’s always the chance for a miracle, right? One thing to consider is that at $129, it will at least make a good upscaling DVD player. Don’t forget that you still get 5 free HD DVDs whenever you purchase select players (which includes this one). Don’t bother. I’d rather buy a PS3 that includes the blurray player too plus you get all the advantages of an X-Box and more. Unfortunately, buying X-Box now is as good as throwing your money away down the toilet because technology is moving now at an alarming rate. X-box will get slashed even lower and still won’t make good sells. So far i have spent a TOTAL of £500 on a Toshiba HD DVD Player and 38 HD DVD TITLES. Hd-dvd is a great investment right now. I have both a ps3 and and xbox 360 and I am getting amazing deals on hd-dvds right now. Sony fanboys can wait to build their collections but I am enjoying both sets of titles right now (with hd-dvds having more out than i like and at a better price).